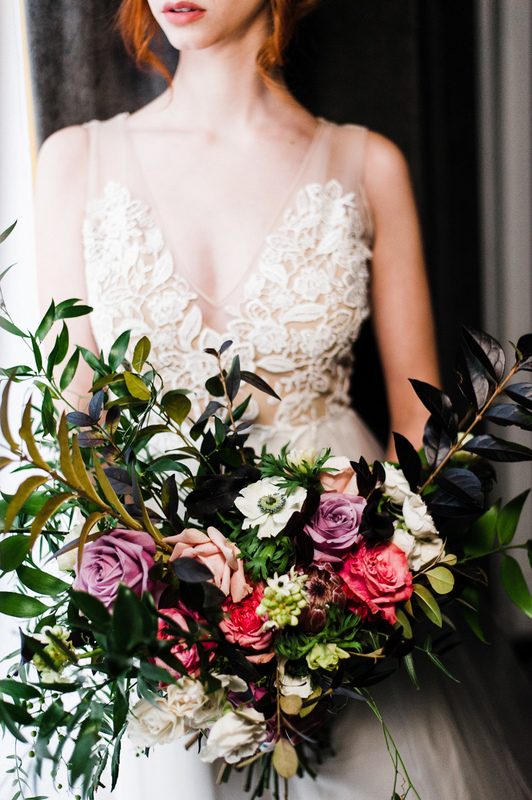 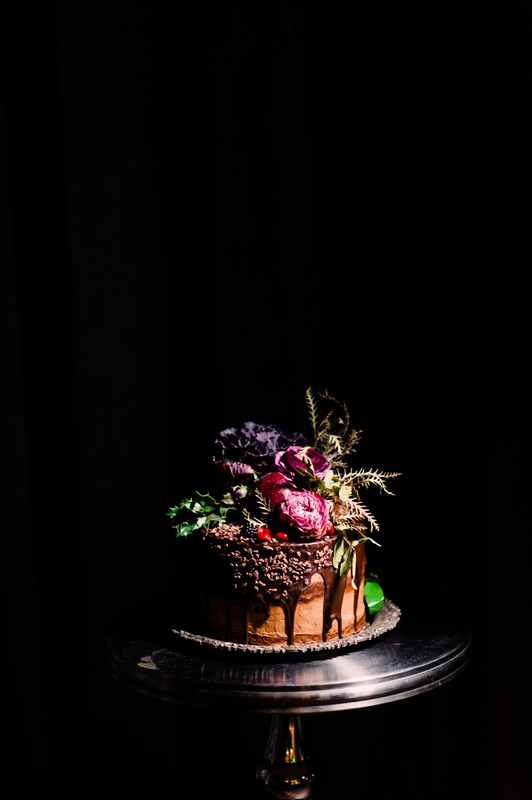 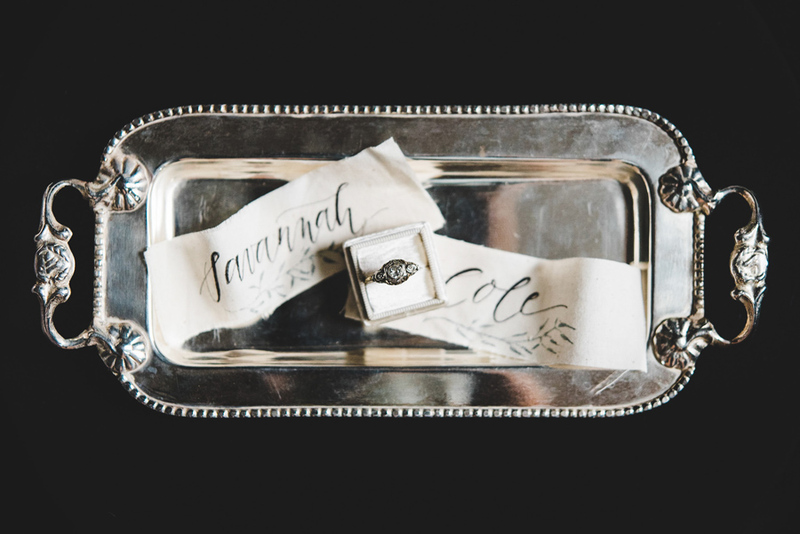 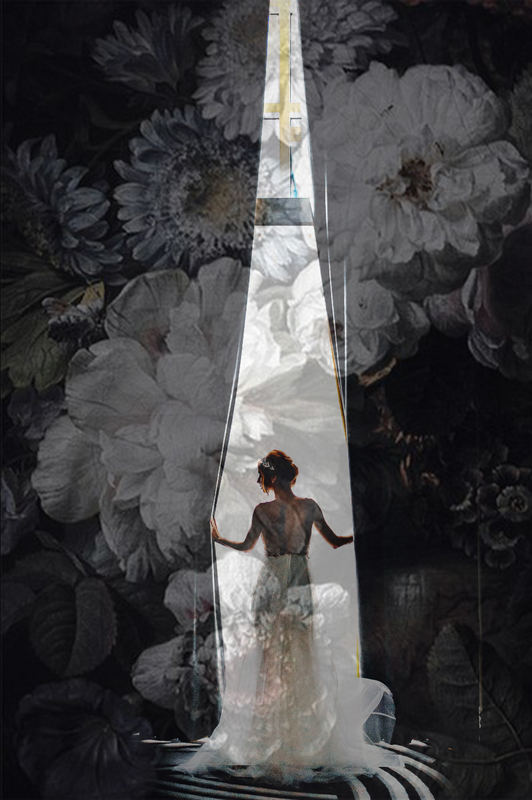 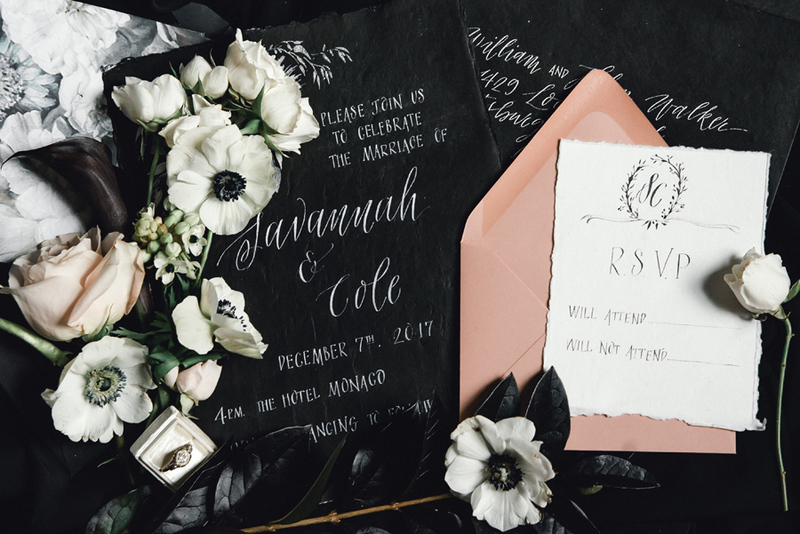 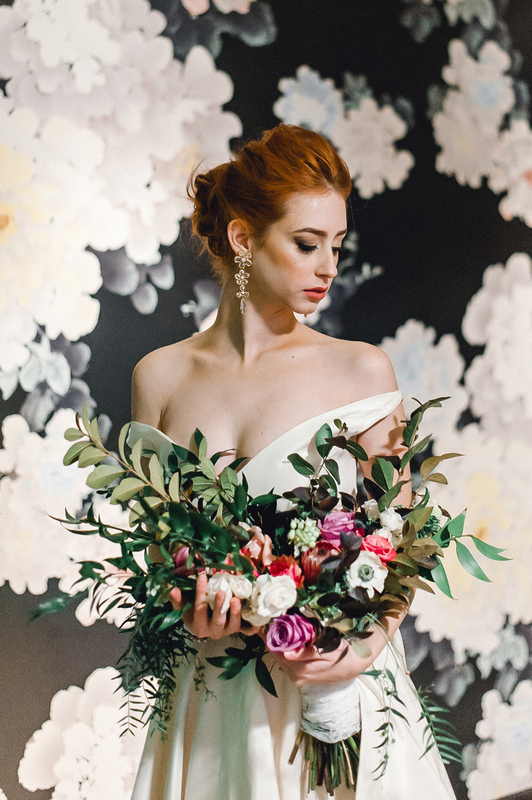 The team behind this Dark Romance inspiration shoot took their design cues from the moody floral wallpaper adorning the halls of the Hotel Monaco. 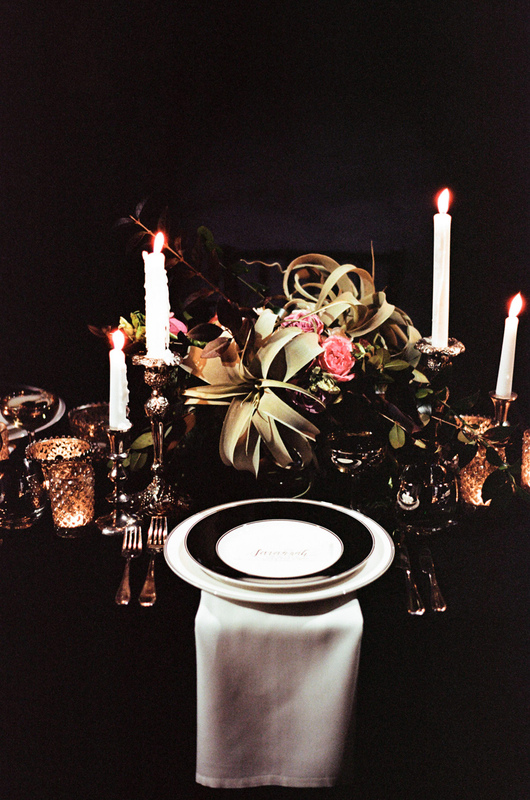 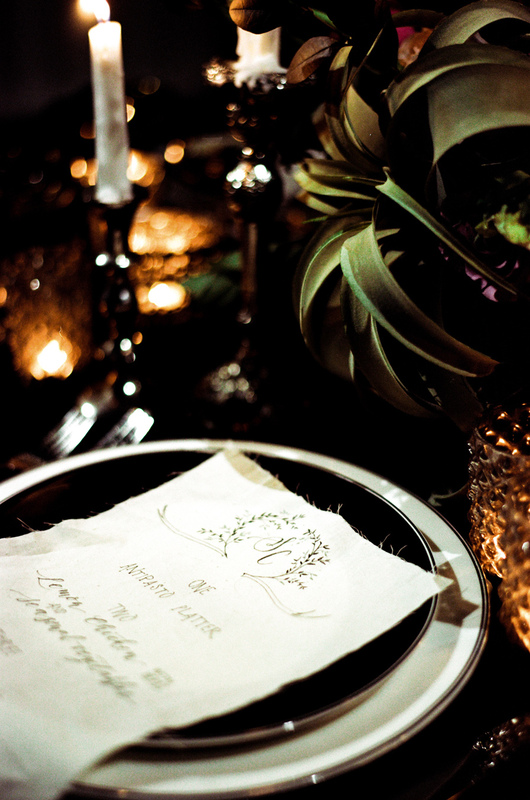 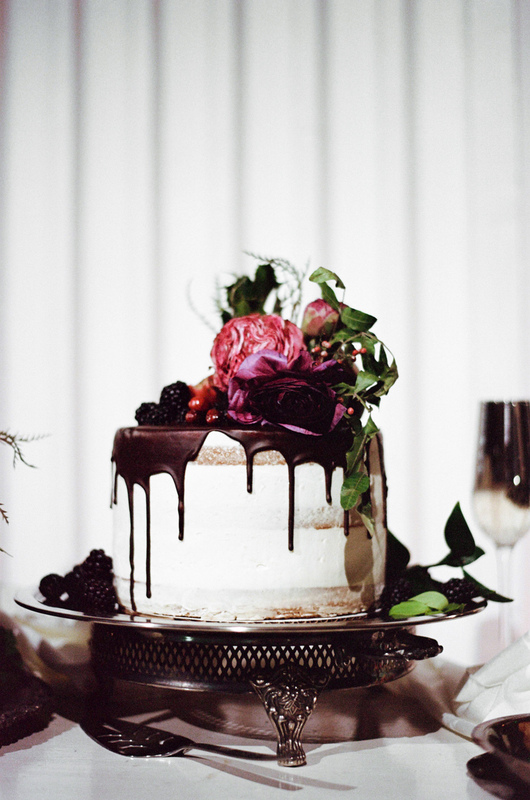 Rich, velvety textures and candlelit details exude the very essence of modern romance. 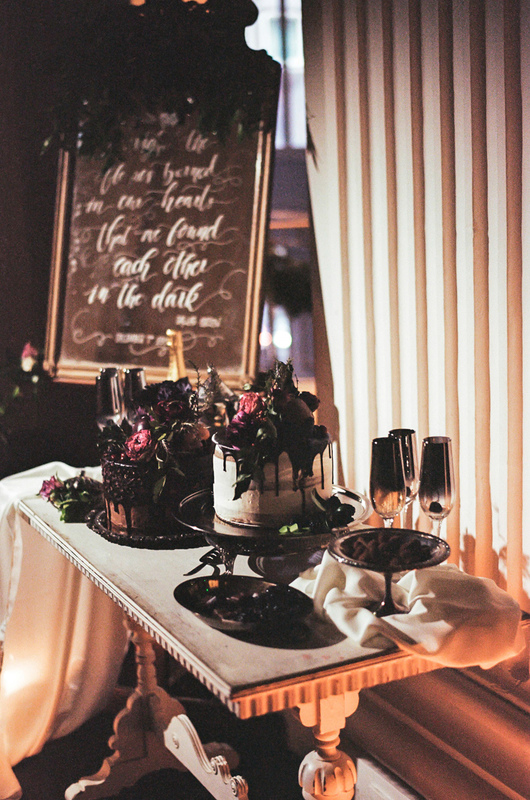 Calligraphy stationery is by Judith Browne, jewel-toned florals are by Posy and dramatic cakes are by The Butterwood Bake Consortium. 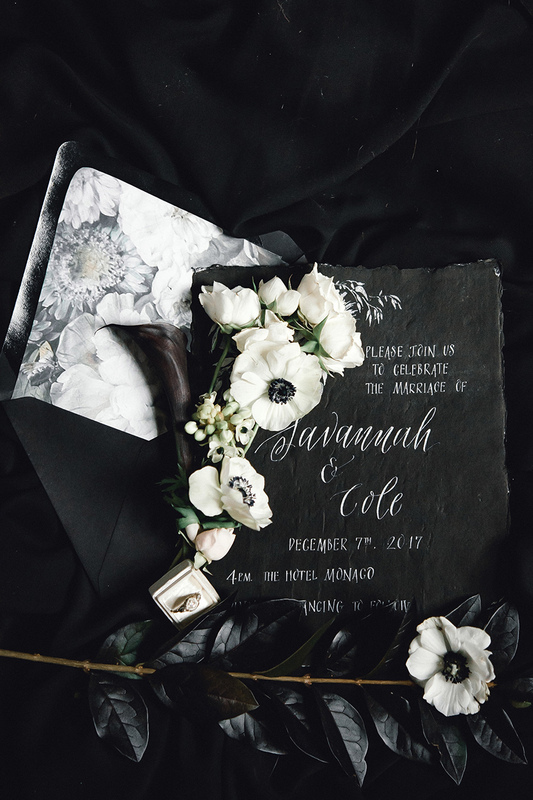 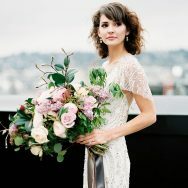 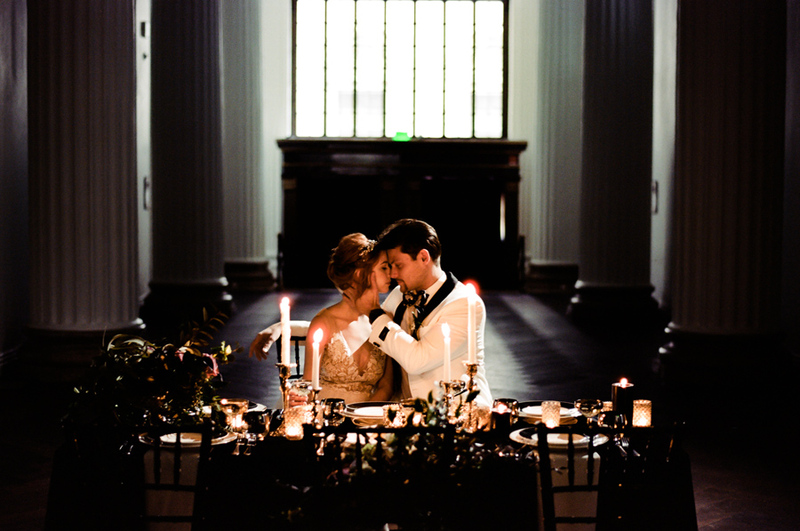 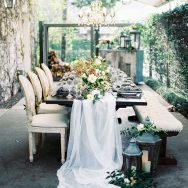 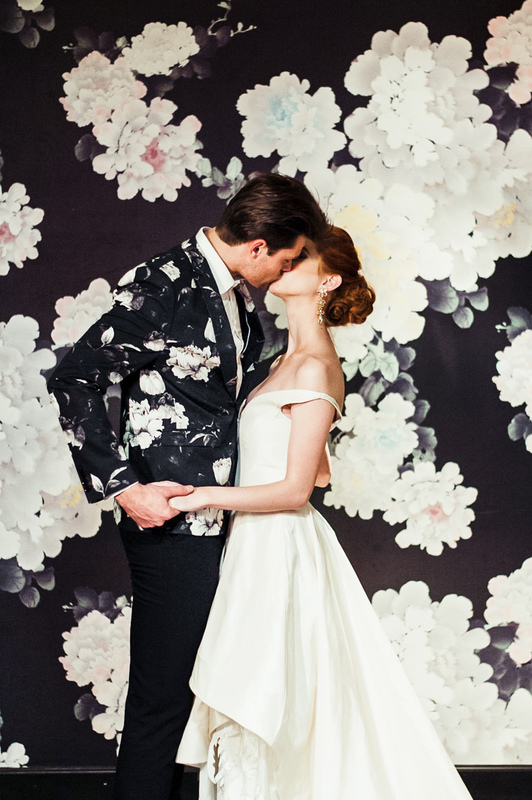 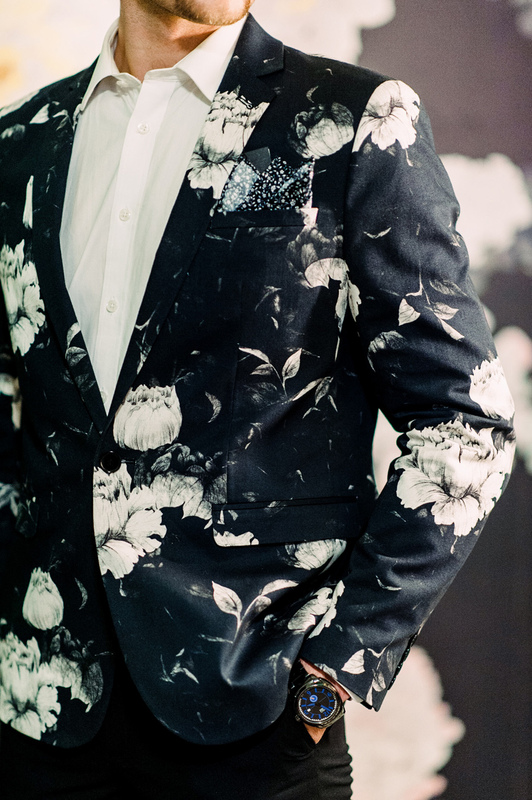 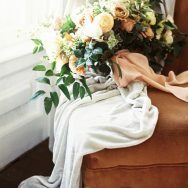 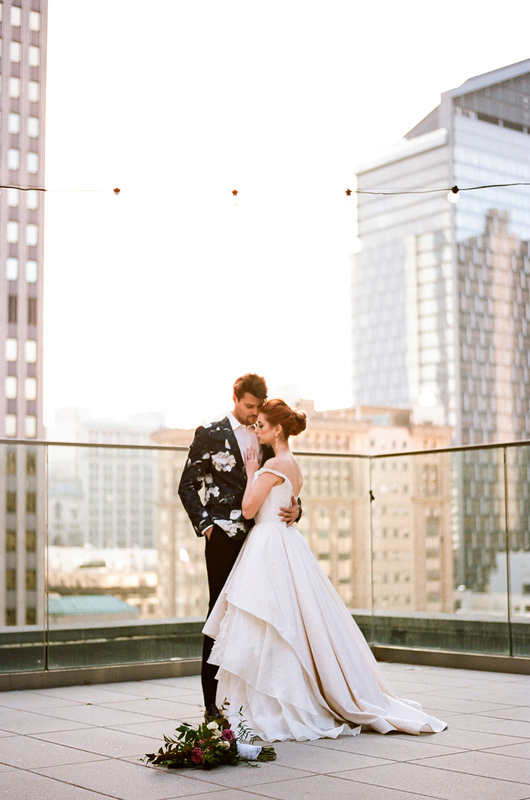 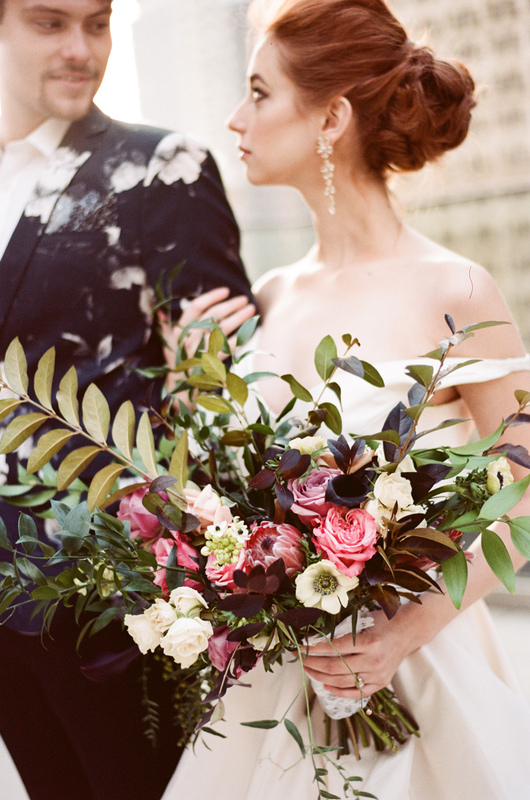 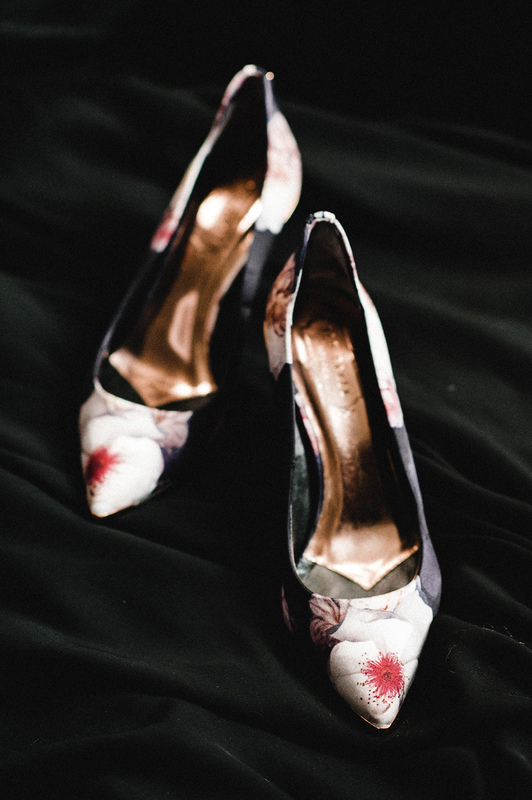 Floral accessories like the bride’s Ted Baker shoes and groom’s dinner jacket add modern flair and Grey Collective member Palermo Photo was on hand to capture all the drama and the details in these film photographs. 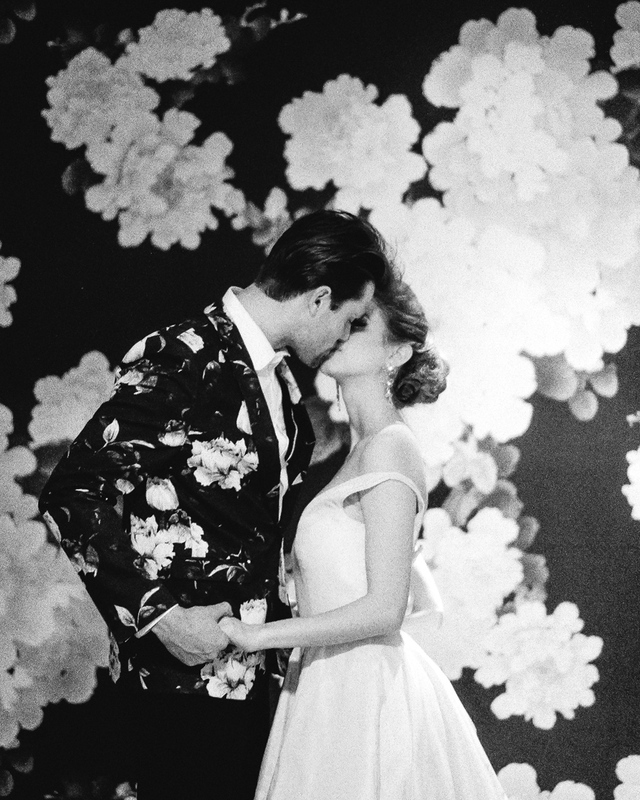 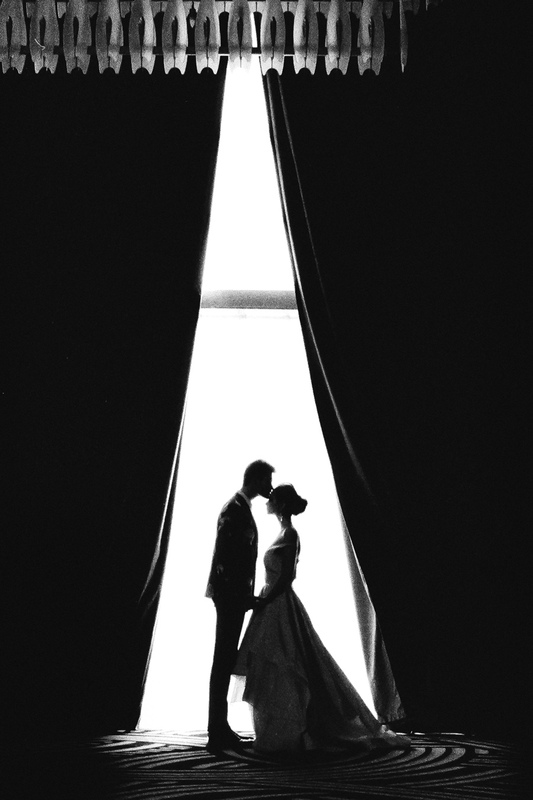 Maria Palermo // Dark Romance from Evermark Studios on Vimeo.